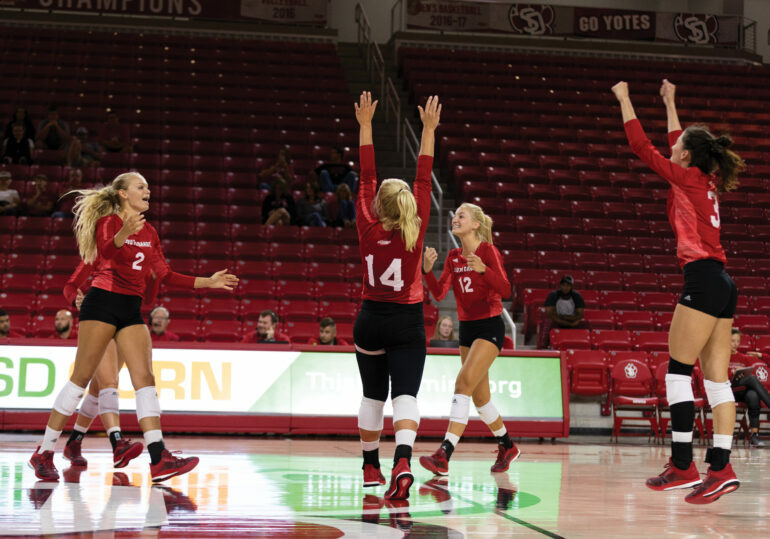 The American Volleyball Coaches Association (AVCA) awarded the USD volleyball team a Team Academic Award for the 2017-2018 season. In addition to being one of 164 Division I schools awarded, USD also earned Academic Honor Roll recognition for a top-25 Grade Point Average, the only Summit League school to do so, according to GoYotes. Head coach Leanne Williamson said the balance of time between the classroom and the court is a focus of the program. Though the upperclassmen “set the standard right away,” Williamson said the team’s academic achievement begins in the recruiting process. What everything boils down to, Williamson said, is time management. USD faces Northwestern in their first of three tournament games of the Panther Invitational in Milwaukee, Wisconsin, starting August 24th.